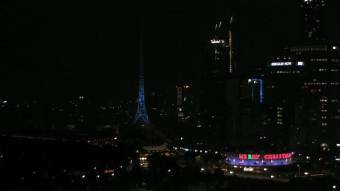 It's 12:52 in Melbourne, Australia right now. Panorama View A nice video covering the city of Melbourne, refreshes several times per day. Melbourne: Docklands, 0 miles away. Thornbury: Weather in Thornbury, 4.5 miles away. Brighton (Vic): Weather in Brighton, 6.5 miles away. Noble Park: Weather in Noble Park - Burek, 15.7 miles away. Warranwood: Weather in Warranwood, 15.8 miles away. Ferny Creek: Weather in Ferny Creek - Patersoi Bloomsky, 20.8 miles away. Mount Eliza: Weather in Mount Eliza, 26.9 miles away. St Leonards: Surfcam St Leonards, 28.1 miles away.